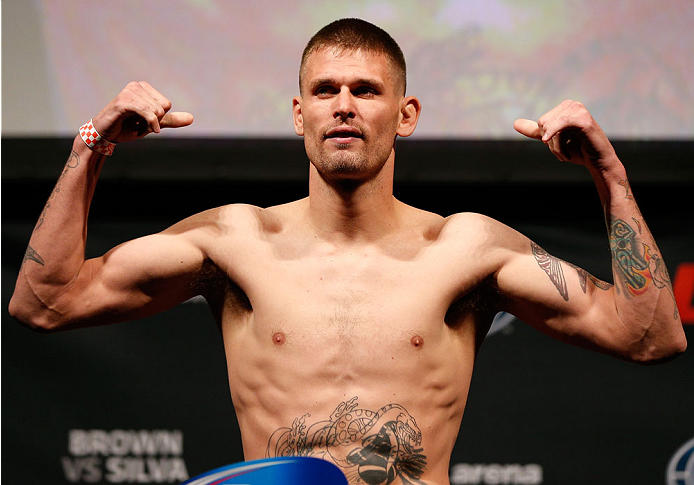 After their first bout ended in controversial fashion, Tim Means and Alex Oliveira have reportedly been booked to fight again, March 11th. The welterweights fought for the first time at UFC 207 in December, and the bout was ruled a no-contest, after Oliveira took a knee to the head while he was ruled down. Means reported after that he believed the strike was legal. Prior to the fight, Means (26-7-1) had won back-to-back fights over John Howard and Sabah Homasi. Oliveira (15-4-1), meanwhile, was coming off consecutive wins over James Moontasri and Will Brooks. The rematch hasn’t been officially announced by the UFC, but it was reported first by Combate. Means has also re-tweeted reports of the match-up. UFC FN 106 will take place in Fortaleza, Brazil.